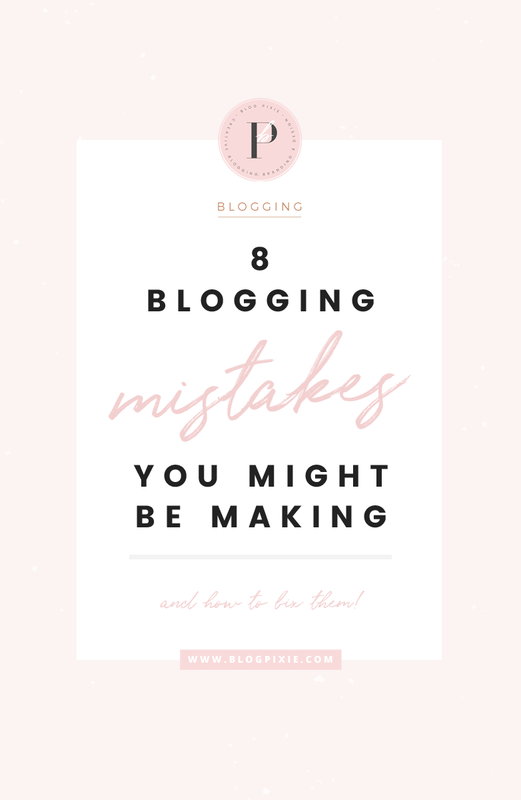 So I didn’t really want to call this post ‘Blogging Mistakes’, as I believe your blog is your personal space to do whatever you like. However, I have a list of problems below that I’ve discovered along my blogging journey. Things I used to do, things I wish I hadn’t done and things I look back on and cringe a little. They were/are mistakes in my eyes, but of course, what I may think is a mistake, you might absolutely love and stand by. So it’s all personal preference. When I first started blogging, my images were all different sizes. 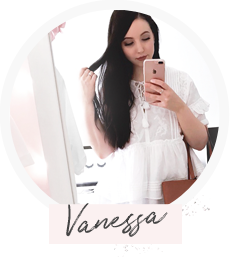 I didn’t know about selecting different sizes for images, I didn’t know about resizing and I didn’t know about the impact it was having on the look of my blog. If the images you upload to your blog posts are all different sizes and don’t fit the width of your blog post area, it can start to look a little messy and unprofessional. You want to make sure each image in the post is the same width, fitting the blog post area perfectly. If you haven’t bought a blog template which resizes your images automatically, you’ll have to resize them yourself before uploading with a free image editor or using Photoshop. Otherwise, in Blogger, as you’re creating a post you can click on an image and select a size (eg. Small, Medium, Large, X-Large). Use the same size each time, and the bigger the better. I did this on Flip And Style for so long, because I thought it looked nice, until I was reading another blogging tips post which said writing should always be from left to right. This blogger mentioned how we are so used to reading from left to right. It’s easier on the eye, as you don’t have to bounce around as much, wondering where the next line is. It made sense straight away, and from that point on I haven’t centered my writing again. Left-align all the text in your post! Unless it’s a quote or your signature. Now this is where your blog can get really messy. Fonts should be used sparingly. The more fonts you have on a page, the more unprofessional it looks. You shouldn’t have one font for your blog text, a different font for your headings, a different font for your side bar, a different font for your logo, a different font for your menu…… you get my point. This is where branding comes in. Putting your logo aside, you should only have two fonts (three at the very most!) throughout the rest of your blog. One for headings and one for body text. Generally, one should be Serif and one should be Sans Serif. If you’ve bought a blog template, your fonts would already be built in. Otherwise, you can change them. In Blogger, go to Theme > Customize. In the theme editor, find the section for where you can select fonts for certain parts of your blog. Remember, find your two fonts and stick with them! I love an interactive side bar. It’s a great space to use for advertising, linking to other pages, linking to social media and also to introduce yourself. There is a point though where you can have too many gadgets. Blogger does have a lot of options to choose from (I’m sure WordPress does as well), however you don’t need them all. Simplify and minimise. Only include what you really need. Your profile pic and bio are important, as well as your social media buttons. If you use Adsense, don’t add too many ads. If you do, they’re less likely to be clicked on by your visitors. I think photography plays a big part in the overall look of your blog. Having light and bright photos is great, but if they go beyond light and bright to the point where you can barely see what’s in the picture, it’s not so good. Another issue is when you’ve lifted the brightness so much to the point where the background is so white that it’s no longer visible. The whole image blends in with the white of your blog background, so you no longer have a defined edge around your photo. This can cause your blog to look less streamlined and less organised. Brighten up your photos when editing, but check the photo on a white background before uploading to make sure you can see all 4 edges. One thing I don’t think I’ve personally done, but have seen, are blogs that are so busy you don’t know where to look. It should be clear to see where your blog title is, where your posts are and where your side bar of information is. This all comes down to the blog theme you choose (there are some bad ones among the good!) and also your background. If you want to have a background pattern or image, it can’t be too bold. If it is, your readers will have a hard time focusing on your posts. You’ll see on Flip And Style I do have a background image of butterflies, however it’s very light and it compliments rather than detracts from my content. Choose your blog theme/template carefully. If you feel your current one is too disorganised, switch it to a different one. If you have a background image, pattern or colour, make it light and/or faded. This is another thing I did for so long, and didn’t realise the effect it had on my traffic and bounce rate. When you have lots of posts on the homepage of your blog, as well as the entire content of each post displayed, your blog will take longer to load. People just don’t have the patience for that. On Blogger, make use of the ‘jump break’. This is a line that you place into the post where you want a ‘Read More’ button/link to show up on the home page of your blog, meaning your readers have to click on it to see the rest of the post. If you know the alternative for WordPress, please leave it in the comments! Also change your blog settings so that you only have 3 posts appear on the homepage at one time. Make readers click through to stay on your blog longer! If it’s hard to follow your blog, you’re missing out on so many potential followers! You need to make it super simple for new readers to follow you. It definitely shouldn’t be a game of hide and seek. 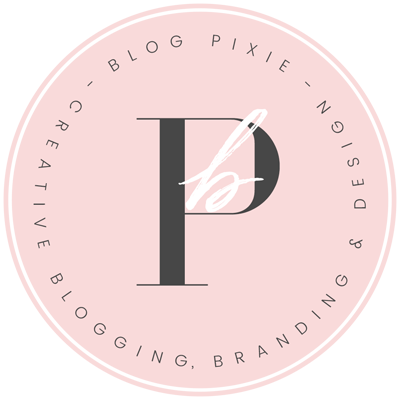 As you will see here on Blog Pixie, I have the Bloglovin heart up in my navigation menu. I also have it in my side bar. I have the Bloglovin widget in my side bar, as well as at the bottom of each post. It’s hard not to see! 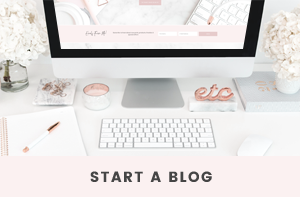 I’ve chosen not to have the ‘Follow By Email’ gadget in the side bar, as I like to direct all my followers to Bloglovin so they’re all in the one place. If they follow by email, they may not follow on Bloglovin, and the more Bloglovin followers the better. Place the Bloglovin counter widget into your side bar where it’s clear and easy to see. To find the code for it, click on your profile pic in Bloglovin and at the bottom of the drop down menu you’ll see a link to ‘Widgets’. If you make any changes from my thoughts above, I’d love to see! I just purchased a new theme, I will definitely be using this article when I start putting to gether my site tomorrow! Thanks! These tips are brilliant, and so easily implemented. There's nothing here that I could disagree with. I'll definitely be sharing this article with my Facebook group. I've never thought about a couple of these before, I'll definiately be taking them into account when I start using your Cassidy theme. Such great tips that I wouldn't have thought about. I'm so glad I came across your blog via Pinterest! I just started my first blog this week and this is very helpful. Thanks. Excellent Vanessa. Many bloggers overlook these fomatting basics, and yep, looks like amateur hour when they do. Especially that center aligned text, because it feels like I am reading a blog from the early 2000’s LOL. Just missing garish black background and light green font at that point. Super smart post here.